SiO Digital offers a unique LinkedIn advertising management aspect to your strategic marketing campaign. By creating top-of-the-funnel graphics and copy, we aim to increase your overall brand awareness and strive to build and reinforce your general audience growth through connections, targeted updates, fostering a healthy and interactive Group community, and/or leveraging paid LinkedIn content ads and Sponsored Updates. Identify specific target audiences by location, company, industry, etc. LinkedIn advertising management has proven to be the most effective B2B (Business to Business) marketing tool and is shown to foster communication and increased participation within your own company culture. Building conversation and specific interaction within company- or industry-based Groups helps your business gain relevant members with similar goals, therefore reinforcing your customer and audience base. 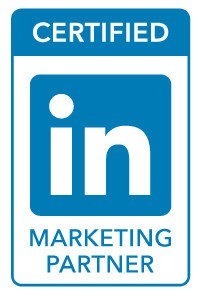 Through investigation and implementation of the unique aspects offered by utilizing certain LinkedIn business solutions your business will be able to build long-term relationships with specific audiences and engage trends and topics by type, time, and period. You won’t find a better qualified audience than on LinkedIn, as it’s expressly geared towards business professionals. If you’re a B2B marketer with a content strategy in place, we recommend restructuring your budget to include more social advertising spending on LinkedIn. Whatever your goals, results are absolutely within reach on LinkedIn if you can allocate the right resources to this powerful platform.